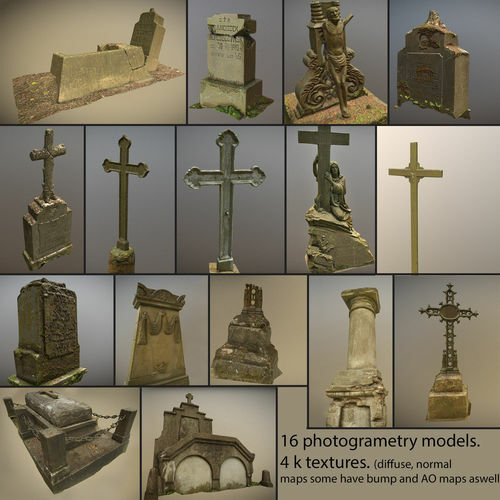 16 models of gravestones, crosses crypt and sculptures from old graveyard low-poly 3d model ready for Virtual Reality (VR), Augmented Reality (AR), games and other real-time apps. 9 models - Gravestones, crosses and sculptures from old graveyard scanned in Vilnius (lithuania) Bernardine Cemetery and a Collection of 6 models scanned in Vilnius, Lithuania Rasu cemetery. And one temporary wooden cross. Mostly Polish graves with Polish inscriptions of the end of 19th century. All models are rusty, crumbly, corroded, deteriorated, worn and covered in undergrowth. 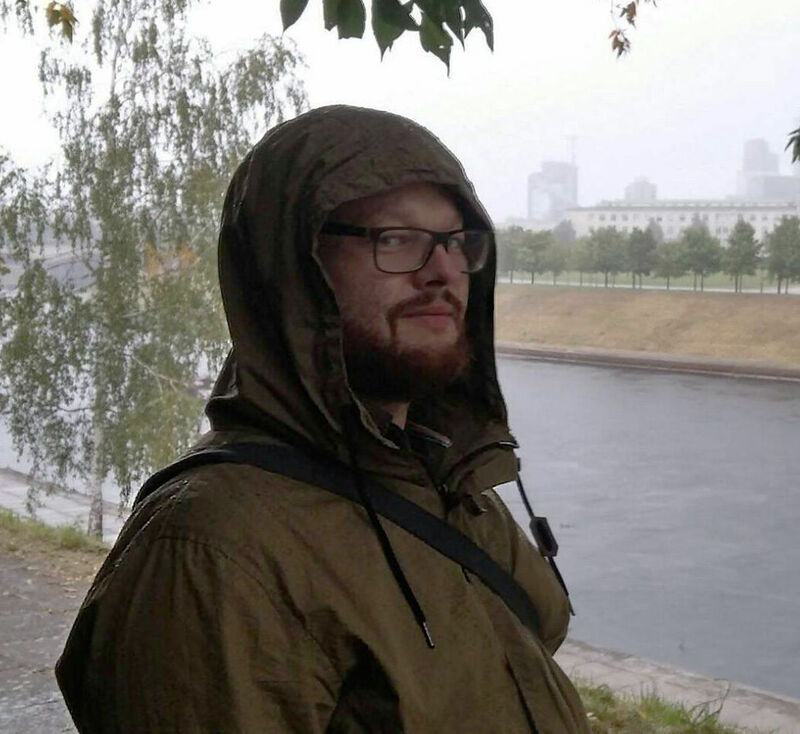 Ready for real time game engines - VR/AR and other apps. Vert and poly count is written for each model separately. 3000 polys and 2000 verts is the average for all models. Manual retopology for most models and some models are partially manually retopologised. All have Normal maps, diffuse color maps, and bump maps while most have ambient occlusion maps. NOTE: the bottom of tombstones and crosses where covered with grass so whoever uses the model will have to hide the edges - cos it is not perfect. NOTE: stated polycound is an average of all models. thank you, it was a lot of work. glad you like it.